"A countrywide programme to identify and treat earlier stages of kidney disease so that advanced disease can be prevented must be developed"
"A well designed national service should be a hybrid programme, with a pragmatic mix of HD and PD"
"Parallel support should be provided for transplant surgery and post-transplant immunosuppression." "The ideal payment model should be based on a combination of process and outcome measures." Some states in India already provide free dialysis to patients who are below the poverty line. However, these program lack a process by which quality can be measured and good quality rewarded. 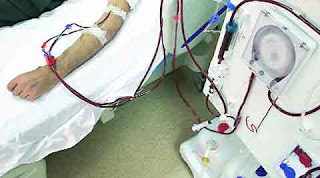 This gives no incentive for the dialysis service providers to give good quality which obviously, comes with a cost. Many providers skimp on basic things and this results in very poor outcomes with patients surviving for abysmally short period of time on dialysis. If outcomes are measured, the mortality and morbidity of patients on dialysis utilising such schemes would reveal some shocking details. This is why it is very important to get this new program right. The Government must involve people like Dr. Jha and others to ensure that they get this right the first time. If the broad contours of the program are designed badly, it would be very difficult to course-correct later. India is at a very important juncture when it comes to healthcare policy. There is a unique opportunity that may not present again. If the Government handles this well, we could have a scheme that could genuinely help the vast ESRD population. If the opportunity is squandered, we will have only ourselves to blame. Sounds encouraging. However, such large programs are difficult to manage well, I would imagine. Idea to execution is usually a long way. Some level of decentralization and aggregation would possibly help. Most people in India are abysmally ignorant about kidney disease, unfortunately. I have had 2 people ask me how many sessions of dialysis it would take for me to 'get better'. They also think transplants are very easy.